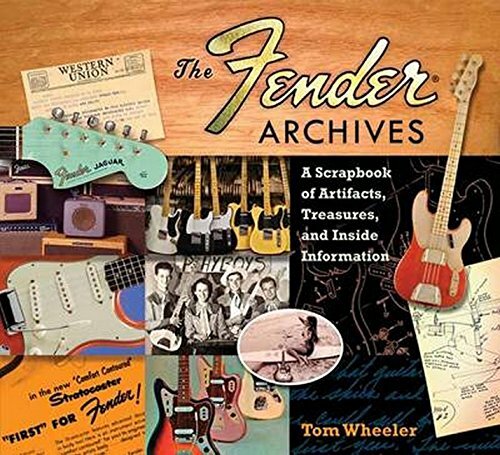 Welcome to The Fender Archives part history, part archive, part scrapbook, and part treasure chest. You are invited along on a research expedition, a sort of archeological dig through several sites: file folders in Fender's offices; the family archives of Don Randall; author/curator Richard Smith's collections; the photo galleries of John Peden and Fretted Americana; jammed metal cabinets in a sweltering warehouse near the Corona factory; and the home of the late Bob Perine in Cardiff-by-the-Sea, just blocks from the beach where he and Ned Jacoby took now-iconic photos of high school kids, surfboards, palm trees, and chrome-clad rocket-ship guitars in Shoreline Gold and Daphne Blue and Candy Apple Red. The Fender Archives looks at the company from the inside. Handwritten letters, production totals, personal logbooks, in-house memos, Leo Fender's drawing-board sketches, financial reports-such documents are freed here from long confinement in cardboard boxes and filing cabinets, dusted off, and promoted from background to spotlight. The Fender Archives sheds new light on the inspirations for revolutionary instruments and amplifiers, their sometimes difficult births and growing pains, the environment into which they were unleashed upon the world, and the motivations and personalities of key players.